After living in England for several years, we’ve certainly seen our share of castles. So many that every time we’d leave the house my kids would moan, ”We aren’t going to tour a castle, are we?” As much as they complained, I think they absorbed more information on these history lesson tours than both their father and I combined. I’ve put together a list of some of our most memorable castle tours that you are sure to enjoy as much as we did. Hever Castle is the childhood home of Anne Boleyn, the second wife of King Henry VIII. It tops my list not only because of it’s a beautiful medieval castle but because experiencing its stunning grounds and peaceful lake will transport you back in time. It’s located in Hever, Kent 30 miles southeast of London and was built in the 13th century. The castle is 3 stories high and houses many antique furniture pieces. The wooden beams are original to the castle and you’ll find many Tudor paintings on display. Try to plan your visit on a beautiful, sunny spring day and you can take advantage of the rowboat rentals. The views of the grounds and the gardens from the lake are breathtaking. As far as attractions, they offer a water maze, jousting and archery which provide a full day of fun and entertainment. Located on the North bank of the River Thames in Central London, this castle is a family favorite especially for my boys with its torture chambers and dark dungeons. Its most famous prisoner was Anne Boleyn. She was later beheaded on the grounds of Tower of London for failing to produce a male heir and for accusations of adultery. Many others were beheaded for not accepting Henry as the head of the New Church of England. 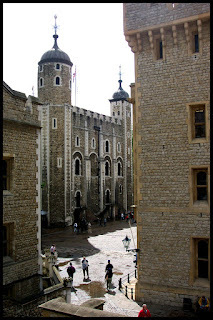 Tower of London is home to the famous Crowned Jewels exhibit which is a top attraction at the tower. 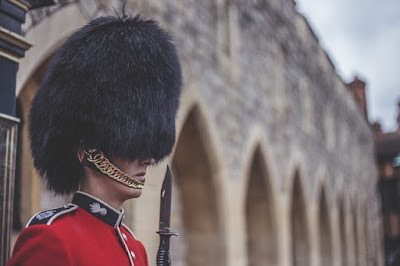 Be sure to book a tour with a costumed Beefeater as your guide to learn more details about the history of this famous castle. Located in the English countryside of Berkshire, this castle was originally built in the 11th century. It is the oldest occupied castle in the world and is one of the official residences of the Queen. How do you know if the Queen is in residence, you ask? Just look at the flag flying above any Royal residence. If the British Flag (the Union Jack) is waving in the wind then the Queen is NOT in residence but if the Royal Standard flag is flying high then the Queen IS in residence. This 900 year old castle is surrounded by a moat. It is built on 500 park-lake acres and located in Kent. The interior of the castle went through a massive refurbishment in the 1920’s and 1930’s when Lady Baillie, the last private owner, resided there. The formal garden is truly spectacular. There are many year round attractions and special events offered at Leeds Castle. With breathtaking views of the White Cliffs of Dover, this castle is located in Dover, Kent and was founded in the 11th century. Known mainly for its defensive significance throughout history, it is also recognized as the largest castle in England. You’ll be amazed as you tour the medieval tunnels, Saxton Church and Roman Lighthouse. A tour of Dover Castle is a must-do for any war buff. 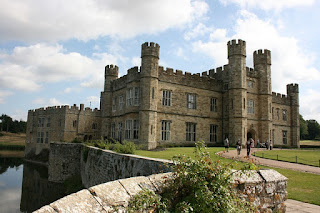 Of course, these are just a few of the many awe inspiring castles found in England (just ask my kids), with each one offering its own history and attractions. 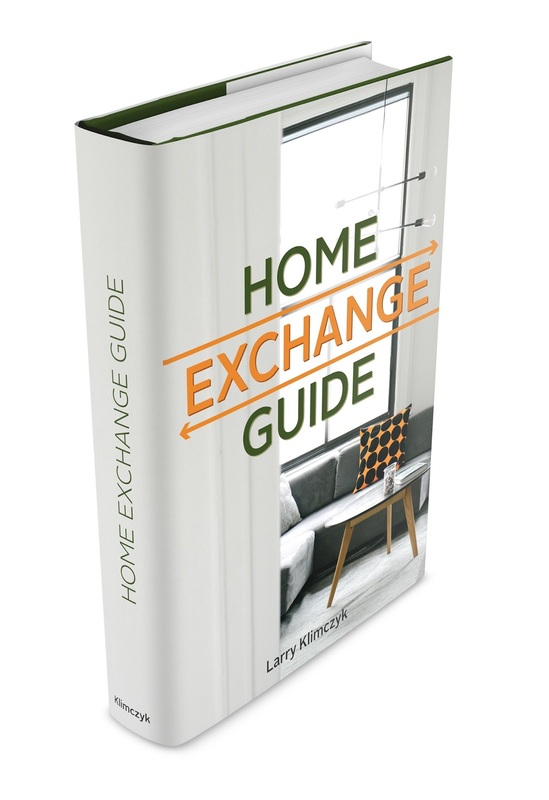 You can experience the splendor of England for yourself by booking your next home swap through International Vacation Home Exchange where any one of our luxury properties are sure to leave you feeling like Royalty.